Doctor Helen Roseveare, affectionately called Mama Luka, pioneered vital medical work in the Rain forests of the Belgian Congo - now the Democratic Republic of Congo. Throughout her eight years in training for the mission field and her first twelve years in Congo Helen Roseveare, she had prayed that God would give her a mountain top experience of his glory and power. However, after enduring civil war and having to start from the beginning again, and later when caring for her elderly mother, she realised that God's work is done in the valleys. Digging Ditches by Helen Roseveare was published by Christian Focus Publications in October 2005 and is our 16824th best seller. 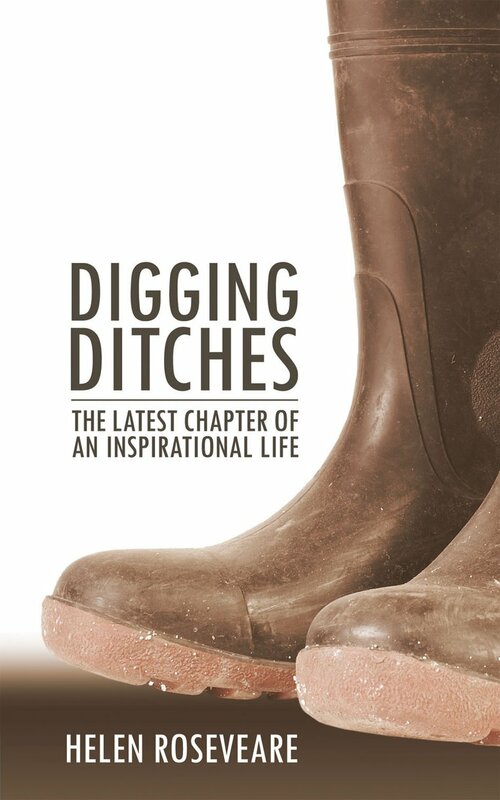 The ISBN for Digging Ditches is 9781845500580. If you?ve read Helen?s earlier books (?Give me this mountain? and ?He gave us a valley?) or heard her speak, then you will need no encouragement to read this third installment in Helen?s life story. If this is your first Helen Roseveare book, then plunge in ? you won?t regret it! What I like best about this author is her honesty about the ups and downs of her Christian life. Some readers make you feel a failure, compared to their super-spirituality: not so Helen. She is realistic, and lifts you up. Her books are full of interesting real-life incident, and also challenging and encouraging thoughts and insights from the Bible. Got a question? No problem! Just click here to ask us about Digging Ditches.